A New York Times bestseller. Longlisted for the Financial Times / Goldman Sachs Business Book of the Year Award. Since Aristotle, we have fought to understand the causes behind everything. But this ideology is fading. In the age of big data, we can crunch an incomprehensible amount of information, providing us with invaluable insights about the what rather than the why. We're just starting to reap the benefit: tracking vital signs to foresee deadly infections, predicting building fires, anticipating the best moment to buy a plane ticket, seeing inflation in real time and monitoring social media in order to identify trends. But there is a dark side to big data. Will it be machines, rather than people, that make the decisions? How do you regulate an algorithm? What will happen to privacy? Will individuals be punished for acts they have yet to commit? 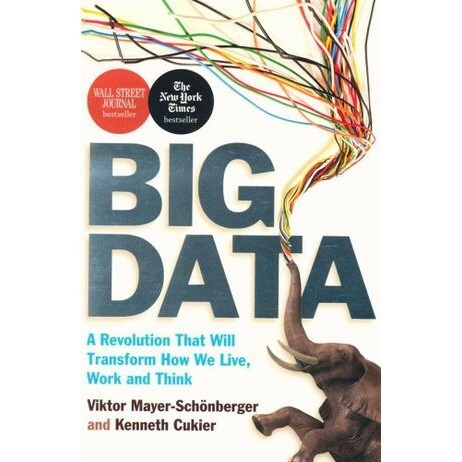 In this groundbreaking and fascinating book, two of the world's most-respected data experts reveal the reality of a big data world and outline clear and actionable steps that will equip the reader with the tools needed for this next phase of human evolution. Viktor Mayer-Schonberger is Professor of Internet Governance and Regulation at Oxford University following a decade on the faculty of Harvard's Kennedy School. He is one of the most respected authorities on what is happening in the big data arena. His book, Delete : The Virtue of Forgetting in the Digital Age, is considered a seminal work on the ever-presence of data.